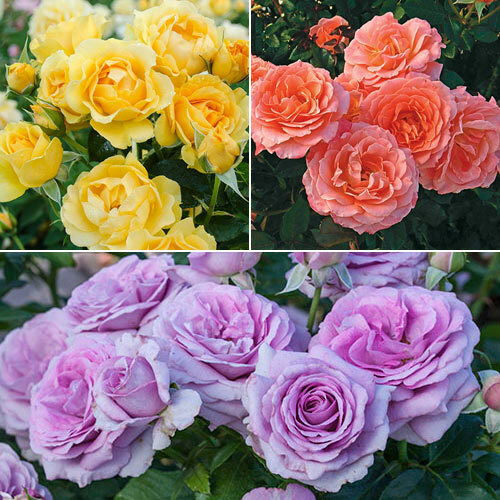 Easter Time Floribunda Rose Collection | Michigan Bulb Co. This unique rose collection lets intriguing pastel hues take centerstage. All varieties produce blooms in abundance over dense, glossy foliage. Their well-behaved habits are perfect for a cottage garden, or in patio containers where their licorice and clove fragrance can be easily enjoyed. 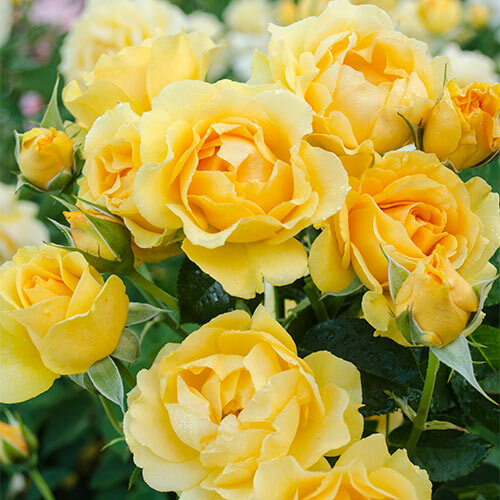 This collection includes the perfect butter gold hues of Julia Child Floribuda Rose, which blooms all the way to first frost. 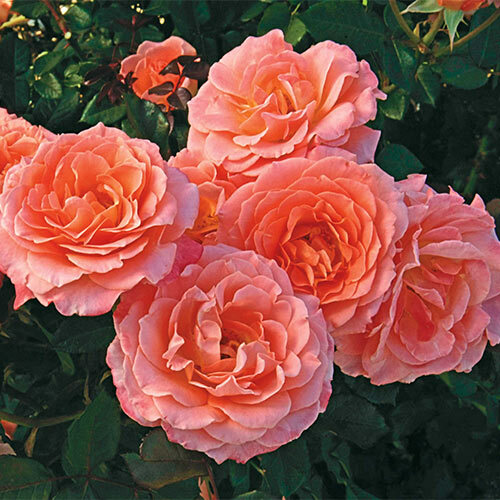 Jump for Joy™ causes a stir with huge clusters of ruffled, peach-pink blooms. 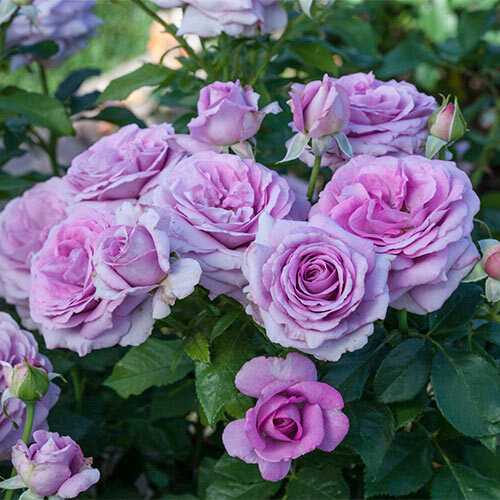 Violet's Pride has a unique color combination, with lavender-purple blooms warming to vibrant magenta at the center, as if it was lit from within. Flower FormMedium, very full & Old fashioned clustered blooms, reaching up to 4''. Planting InstructionsPlant at the same level as the soil so the crown of the plant is even with the soil level. Don't bury the crown. Full sun is best for quicker flowering and higher quality plants. Plant at least 24 - 36'' apart.